Although Windows 10 is free upgrade for all Windows 7 and Windows 8 users, it doesn’t mean that upgrade is always smooth. User have reported error 0x800704DD-0x90016 during Windows 10 Setup, so let’s see if we can fix this somehow. 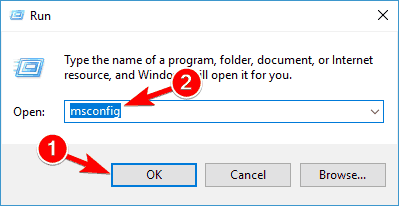 If you’re getting error 0x800704DD-0x90016 while upgrading to Windows 10 from Windows 7 or Windows 8, you need to follow this simple solution. Windows 10 Media Creation Tool error 0x800704dd 0x90016 – This error usually appears if you’re not using an administrator account. To fix it simply switch to an administrator account and try to run Media Creation Tool again. 0x800704dd-0x90016 Windows 10 laptop – This issue can also appear on your laptop. If you encounter this issue, just perform a clean boot and disable your Internet connection during the installation. If you’re unable to install Windows 10 due to 0x800704DD-0x90016 error, the issue might be the lack of administrative privileges. 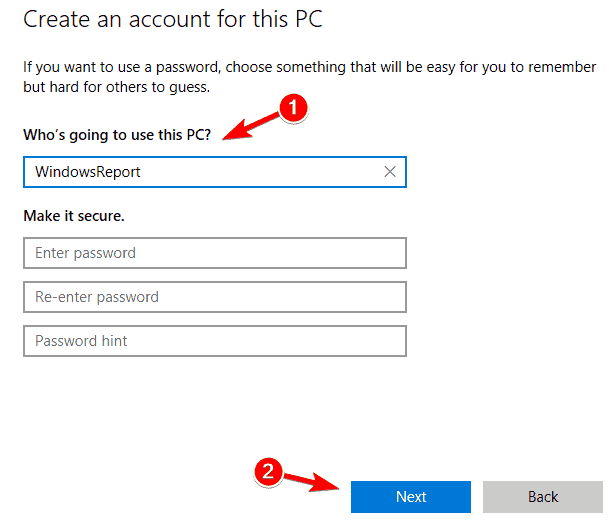 To fix this issue, you just need to log in to Windows using the administrator account and try to run the setup again. Open the Settings app. You can do that quickly using the Windows Key + I shortcut. When Settings app opens, go to the Accounts section. Select Family & other people from the menu on the left. Now click Add someone else to this PC button in the right pane. You’ll be asked to enter sign-in information for the new user. Choose I don’t have this person’s sign-in information. Now select Add a user without a Microsoft account. Enter the desired username and click Next. In Settings app go to Accounts > Family & other people. Locate your new account and choose Change account type. 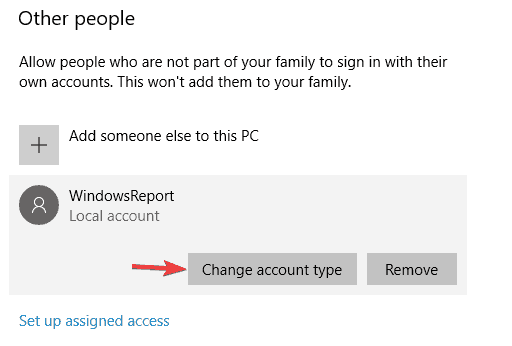 Set Account type to Administrator and click OK.
After creating a new administrator account, switch to it and try to run the setup again. As we already mentioned in our previous solution, 0x800704DD-0x90016 error can occur if you don’t have the necessary privileges, but you can obtain those privileges simply by using an administrator account. Start Command Prompt as administrator. The simplest way to do that is to press Windows Key + X and choose Command Prompt (Admin) or PowerShell (Admin) from the menu. When Command Prompt opens, run net user administrator /active:yes command to enable the hidden account. After running this command, the hidden administrator account should be enabled and you’ll be able to to access it. 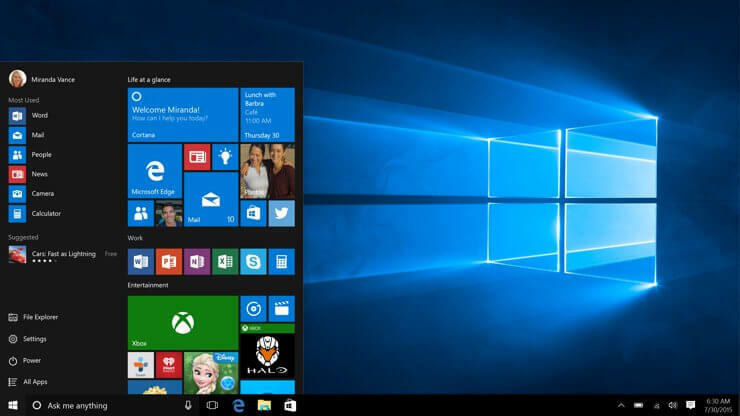 Once you access the new administrative account, try installing Windows 10. If the process is successful, you can disable the hidden administrative account by starting Command Prompt and running net user administrator /active:no command. This method is quite effective, especially if you don’t want to create a new user account, so you might want to try it out. Having a good antivirus is important, but sometimes your antivirus can interfere with Windows 10 installation and cause 0x800704DD-0x90016 error to appear. Your antivirus will prevent certain applications from modifying the system files, and that will cause this issue to occur. To fix the problem, it’s advised to disable your antivirus before you try to install Windows 10. If disabling the antivirus doesn’t help, it’s advised to completely remove your antivirus and try to run the setup again. To make sure that your antivirus is completely removed, download the dedicated removal tool for your antivirus and run it. Once your antivirus is removed, try to install Windows 10 again, and 0x800704DD-0x90016 error shouldn’t appear. If you manage to complete the installation process, you should consider installing a new antivirus on your PC. Bitdefender offers the best protection on the market, and it’s fully compatible with Windows 10, so it won’t interfere with your system in any way. 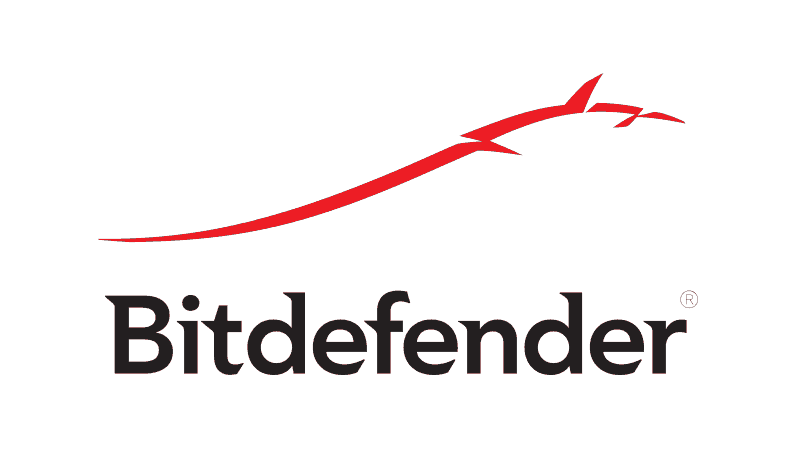 If you’re looking for a good and a reliable antivirus, Bitdefender might be just what you need. If you’re having 0x800704DD-0x90016 error while trying to install Windows 10, the problem might be your USB devices. Certain USB devices such as external hard drives, card readers and such can sometimes interfere with Windows 10 installation. To make sure that the installation process goes smoothly, we strongly advise you to disconnect all USB devices except your keyboard and mouse and your installation media. Once you disconnect all USB devices, you shouldn’t have any issues with it. Press Windows Key + R, enter msconfig and click OK or press Enter. System Configuration window appear. Go to the Services tab. Now you need to check Hide all Microsoft services option and click the Disable all button. 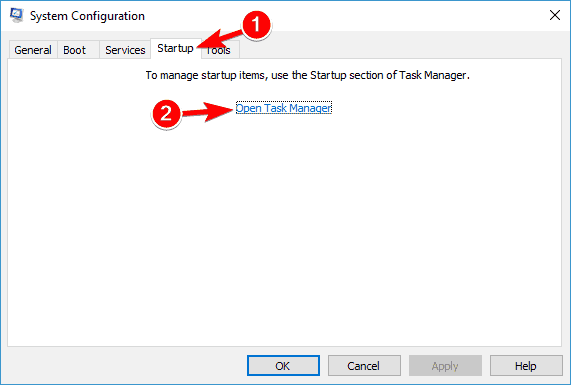 Now go to the Startup tab and click Open Task Manager. List of all applications will now appear. Now you need to disable all startup applications. To do that, right-click the first application on the list and choose Disable. Repeat this for all entries on the list. 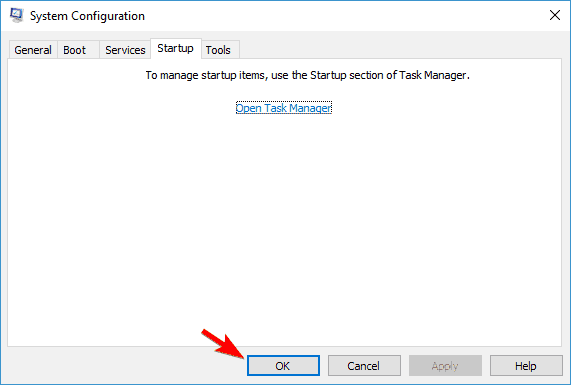 After disabling startup applications, go back to the System Configuration window. Now click Apply and OK to save changes and restart your PC. After doing that, all startup applications will be disabled. Now try to install Windows 10 again and check if the issue is still there. According to users, if you’re trying to install Windows 10 using the ISO file, be sure to disconnect from the Internet. To be on the safe side, disconnect your Ethernet cable or in some cases you might even have to remove your wireless adapter from your PC. After doing that, try to install Windows 10 again. Sometimes the ISO file you’re using to install Windows 10 isn’t good, and that can cause 0x800704DD-0x90016 error to appear. This can be a problem, but several users reported that you can fix the issue simply by downloading the ISO file on a different PC and using that ISO to install Windows 10. This sounds like an unusual solution, but users claim that it works, so you might want to try it out. Now navigate to Update & Security section. Select Troubleshoot from the menu on the left. 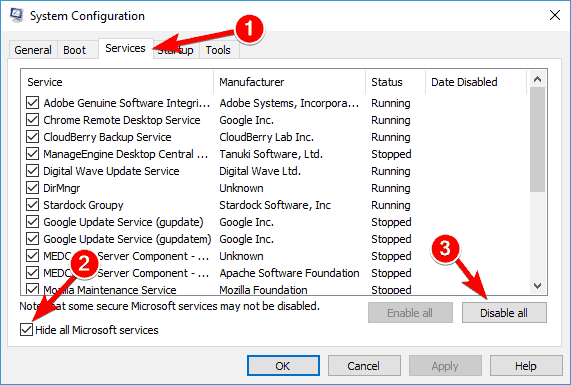 Select Windows Update from the list and click the Run the troubleshooter button. Follow the instructions on the screen to complete the troubleshooter. Once the troubleshooting is finished, try to install Windows 10 again. We hope that our solutions were helpful and that you’ve managed to fix error 0x800704DD-0x90016 on your computer.